As many of our followers are eating healthier and more often at home, so we thought it would be a good time to bring out an easy, one pot, chicken and brown rice recipe. The classic combination of chicken, rice and vegetables makes this dish a go to, comfort food classic. Just add your desired seasonings and you have a customized meal. Best part of all-there is only one dish to clean, and a major plus-it only costs a few dollars to feed a family of four! 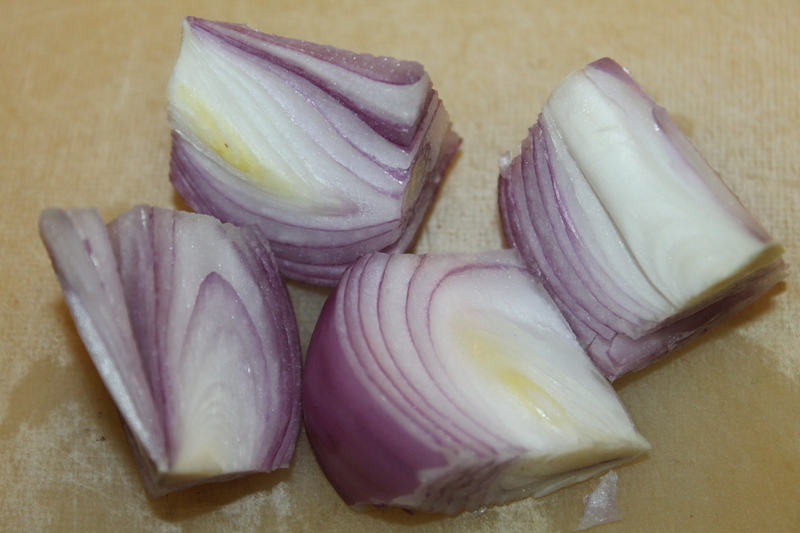 We used a small red and a small yellow onion to add another depth of flavor. 1. In a large Dutch oven or heavy pot, heat oil over medium-high. Season the skin side of the chicken with salt and pepper. Place chicken skin side down in the pot. Season the side facing upwards. Cook until golden brown on both sides, 10 to 12 minutes total. 2. 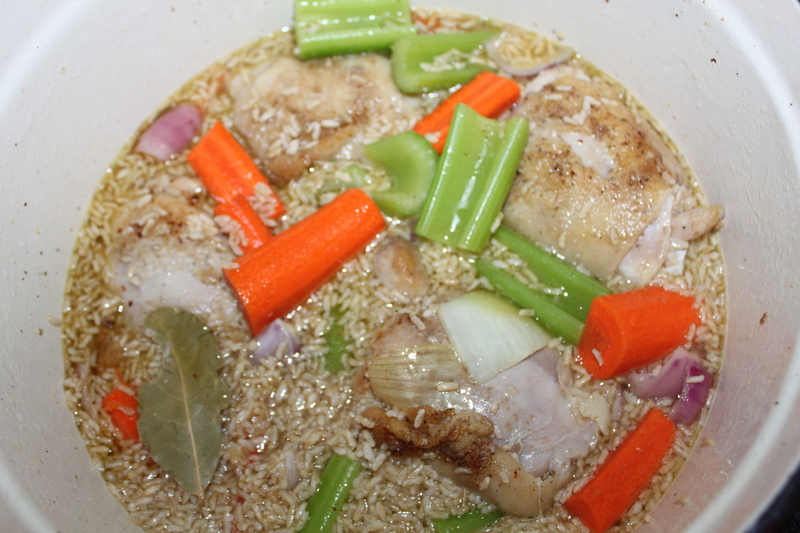 Add onion and celery – placing most of them on top of the chicken. Reduce heat to low, cover, and cook 20 minutes. Add instant brown rice, boil and then let simmer. 3. Add carrots, bay leaf, and 1 3/4 cups water; stir in rice and season with salt and pepper and other desired seasonings. Bring to a boil, then reduce heat to low-medium. Cover and simmer until rice absorbs almost all the liquid – approximately 40 to 45 minutes. Let stand, covered, for 10 minutes before serving. Additional seasons as desired garlic salt, cayenne pepper, red pepper flakes, etc.. In a large Dutch oven or heavy pot, heat oil over medium-high. Season the skin side of the chicken with salt and pepper. Place chicken skin side down in the pot. Season the side facing upwards. Cook until golden brown on both sides, 10 to 12 minutes total. Add onion and celery – placing most of them on top of the chicken. Reduce heat to low, cover, and cook 20 minutes. Add carrots, bay leaf, and 1 3/4 cups water; stir in rice and season with salt and pepper and other desired seasonings. Bring to a boil, then reduce heat to low-medium. Cover and simmer until rice absorbs almost all the liquid - approximately 40 to 45 minutes.